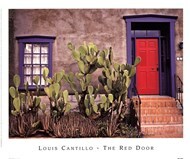 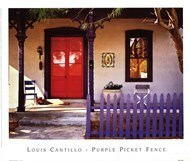 Red door art is a diverse category of architecture prints that portrays red doors in a variety of locales. 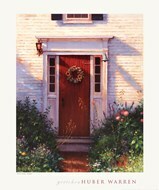 This type of door painting is often seen in images that focus on households, rather than other buildings. 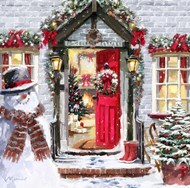 Likewise, this art category is most commonly seen in households rather than businesses, although there are many professional venues that use red door art in their design schemes. 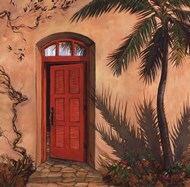 Like many forms of door paintings, understanding the color of the door portrayed is the key to understanding the artists' message. 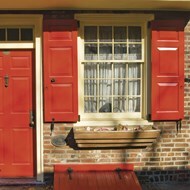 In the case of red door art, the color red is often associated with vibrancy, energy, and excitement. 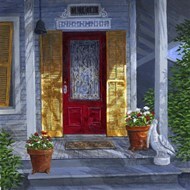 In works such as 'Welcome Home' by Gretchen Huber Warren, these emotive qualities are prominently displayed, since this red door print suggests the excitement and nervous energy of returning to home after a long time away. 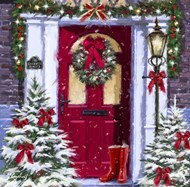 Several red door images also take advantage of the red color associated with Christmas. 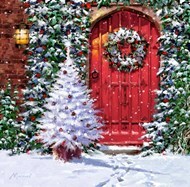 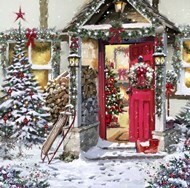 These works often use the color contrast of white snow with the brightness of the red door, as seen in the seasonal image, 'Red Door' by Billy Jacobs, as well as the theme of red door art itself. 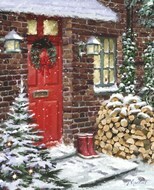 Red door art is a distinctive architecture print that lends itself to both home and business decorations. 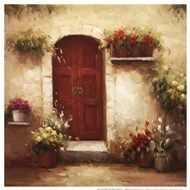 These emotive pictures are ideal for raising the passionate energy of a space, particularly in the home where this sort of vibrancy and energy is put to the best use. 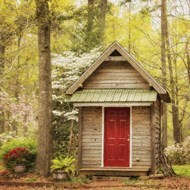 However, these architecture prints also lend themselves to businesses where a sense of energy and focus is desired, such as a corporate office or areas that concentrate on hobbies and other passions.